Friday 13th is the day I normally go into hibernation. Not from superstition just from past experience it seems to always be a really unlucky day for me. Little Man was spending the day with his Grandma and Grandad and I was spending my hibernation getting a few jobs done. I even managed to fit in a run on the treadmill, followed by an uninterrupted lunch. 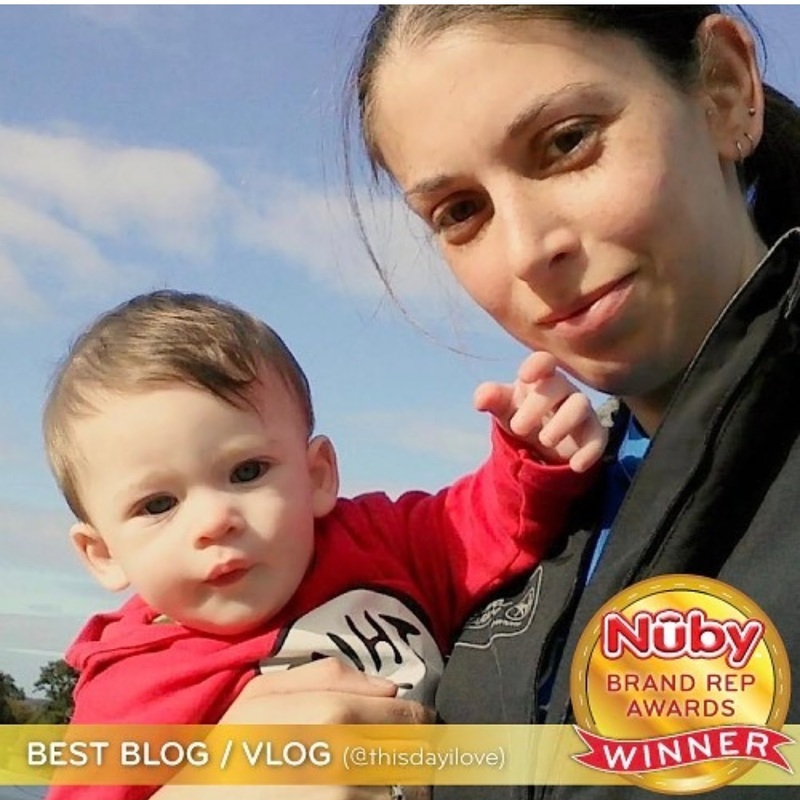 Over the past year we have worked with Nuby as one of their brand ambassadors. I feature their teethers in my teething guide and their bottles and dummy in my colic essentials post. We were among the first to try the steriliser and dryer which is one of the most used pieces of equipment we own. I even put together a short video of a day in the life with some of our favourite Nuby products. We have not had a single item sent that we don't still use or that has not been useful and we are so grateful to have worked with Nuby in 2016. I am absolutely overwhelmed and speechless. To be given an award by a brand you genuinely love, is such an amazing feeling. To have all the hard work and hours put into posts/photos/videos recognised is incredibly humbling and I have been left speechless. For the first time that I can remember something really amazing happened on Friday 13th, and a moment I will remember for the rest of my life. I cannot wait to see what the rest of the year holds. This day I love the day with the unexpected positive.